Exeter has many more shops beyond its classy shopping centres. The High Street is still the main shopping street in the centre and is full with some of the great names in shopping! After recently updating the main Exeter Shopping page, we’ve now also started updating the main Exeter Shopping areas including the High Street highlighted here today. Each of these retail areas will feature our all new look that’s also mobile and tablet friendly too! 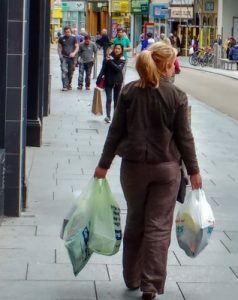 This popular section of ExeterViews.co.uk will eventually be an ideal guide for visitors planning a shopping trip to the city.